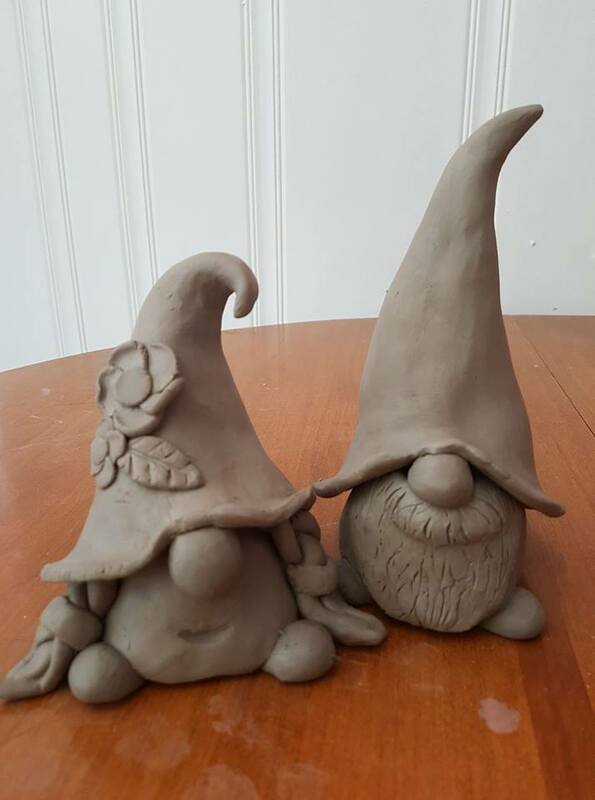 Spend the evening building your very own gnome from clay. Our skilled instructor will guide you step by step through the process turning a pinch pot into the base for this adorable gnome. We’ll use a slab roller to create his hat and other accessories. The sky’s the limit with how creative you can be with this one of a kind creation. The pieces will dry for approximately 2 weeks and then will be fired. You will have 2 months to return and paint your gnome. You can then return to paint your piece and pick it up in a week. Any pieces not picked up within 60 days will be donated due to the lack of storage space in our location.